Perfectly smooth sections from 0.1µm to 5µm. 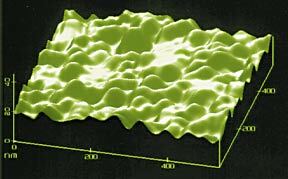 Hydrophilic diamond surface draws water to the edge for easy sectioning. Flawless, jewel quality diamond crystal, in sizes from 1 to 6mm (larger than 6mm are not available at this time). Maximum sectioning stability is assured by molecular welding between diamond and stainless steel shank. Highly inert and strong bonding material is unharmed by solvents. Eight different boat styles and seven types for all ultramicrotomy, cryo, histology and materials applications. Passing through 25 quality control tests and 10 tests to reach flawless quality, you expect perfect sections free of striations and compression. Guarantee: You must be totally satisfied with the knife's performance. Actual magnified photo of a ribbon being cut from a specimen block using one of our fine diamond knives. Notice the smoothness. The diamond knives are produced from carefully selected jewel quality octahedral diamonds. Each crystal is cleaved along its natural lattice into several thin plates which are microscopically screened. Each plate is welded onto a steel shank and following that is a high precision series of processes to lap and polish the diamond into what is unquestionably the sharpest cutting tool made. 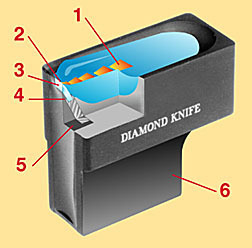 The radius of the diamond knife edge is about 50 Ångstroms (5nm) or 30 carbon atoms and the entire length of its edge must be defect free to the same dimensions. Ultimately an exhaustive final sectioning test is performed through the entire length of the edge. Only if it is flawless is it approved for shipment and packed and sealed in its wood case. Every Diamond Knife is set in a handsome wood case. LARGE BOAT WITH CYLINDRICAL CAVITY AND 6° INCLINED TOP, BLACK ANODIZED. NORMALLY SUPPLIED WITH KNIVES WITH EDGES FROM 7 TO 10MM LONG, ALTHOUGH 7MM AND LARGER WIDTH DIAMONDS ARE NOT CURRENTLY AVAILABLE. WIDE OVAL CAVITY BOAT, BLACK ANODIZED. STANDARD BOAT WITH OVAL CAVITY. BLACK ANODIZED. ALL NEW KNIVES, EXCEPT CRYO AND KNIVES LARGER THAN 7MM ARE SUPPLIED IN THIS BOAT, UNLESS OTHERWISE REQUESTED. NOTE: 7MM AND LARGER BLADES ARE CURRENTLY NOT AVAILABLE. CYLINDRICAL CAVITY, 6° INCLINED TOP. AVAILABLE IN BLACK OR BLUE. NARROW BOAT WITH DEEP CYLINDRICAL CAVITY, BLACK ANODIZED. FOR WET CRYO SECTIONING. MADE OF STAINLESS STEEL WITH NON-GLARE FINISH AND CYLINDRICAL CAVITY. 6° INCLINED TOP. FOR DRY CRYO SECTIONING. STAINLESS STEEL NON-GLARE FINISH. 122-SU-45 Diamond Knife, SU, 4.5mm length, "S" Boat each P.O.R. 122-CW-45 Diamond Knife, CW, 4.5mm length, "W" Boat each P.O.R. 122-CD-45 Diamond Knife, D, 4.5mm length, "D" Boat each P.O.R. 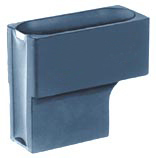 Supplied with Black anodized "S" Boat (standard), with oval cavity unless otherwise specified. Specify "W" Boat (stainless steel non-glare finish for wet cryo sectioning, cylindrical cavity and 6° inclined top edge) or "D" Boat (no trough, for dry cryo sectioning, stainless steel, non-glare finish) when ordering. Edges 4 - 6mm may take a standard "S" Boat, specify boat style if other than S is desired. Any brand of knife can be resharpened to like new condition or exchanged for a new diamond knife (note: new diamond knives can not be provided in sizes 7mm or larger in edge width due to unavailability of larger diamonds at this time). Standard procedure is to return the resharpened knife in the original boat set at the original knife angle. 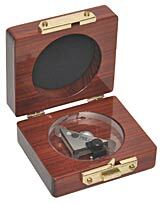 Per request, your resharpened knife from any brand can be set in a new boat and box at no charge. Please provide Customer Service with the following information before sending your knife for resharpening. Purchase Order number or other method of payment. Knife size, boat style, and degree angle of the knife you are sending to us. 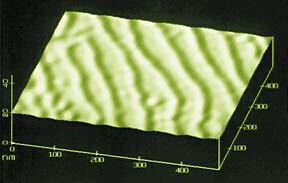 Atomic force microscope view of a diamond knife surface adjacent to the edge. Roughness is less than 5 carbon atoms. View of gold coated, optical quality mirror. In comparison, our diamond knives are 16 times smoother.